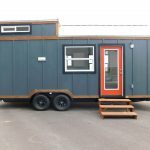 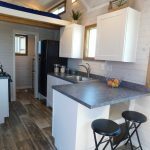 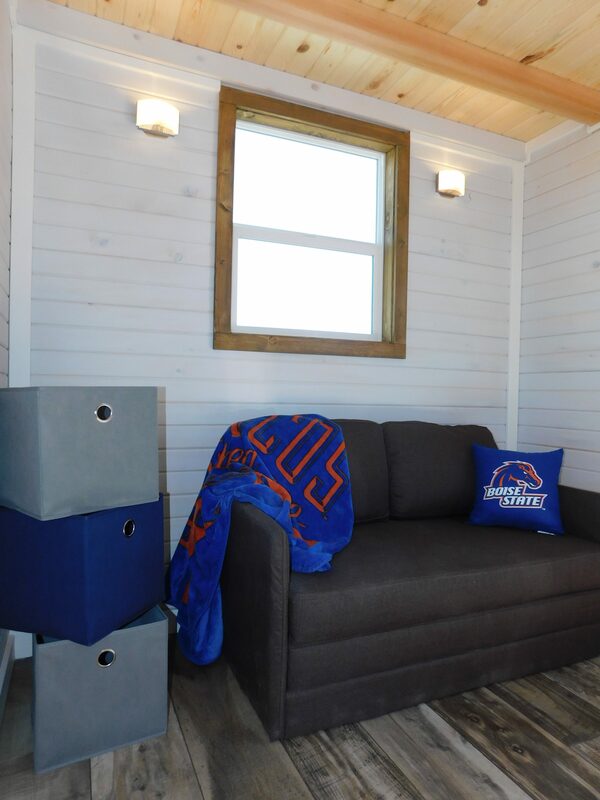 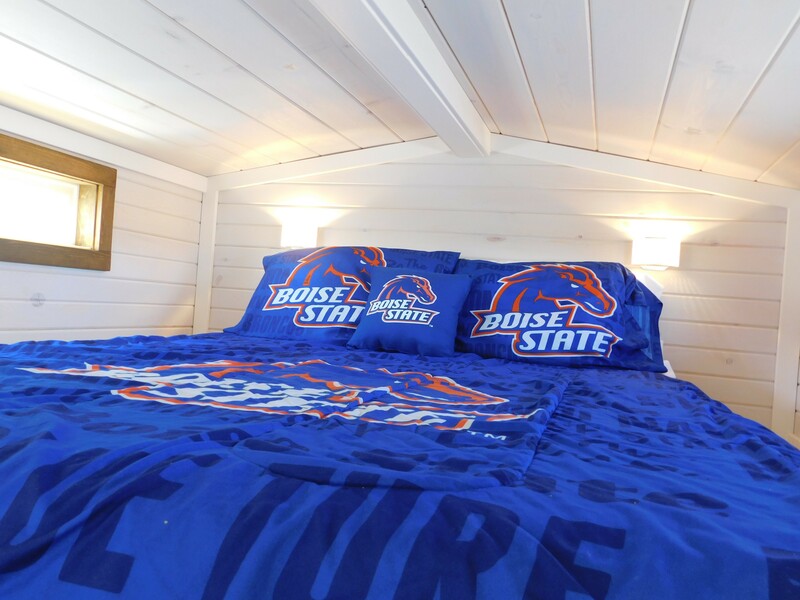 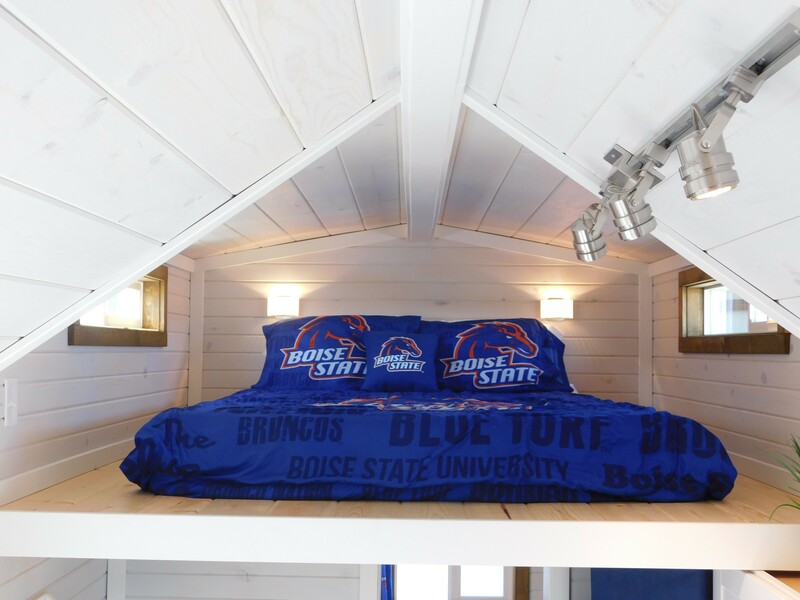 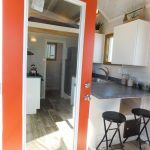 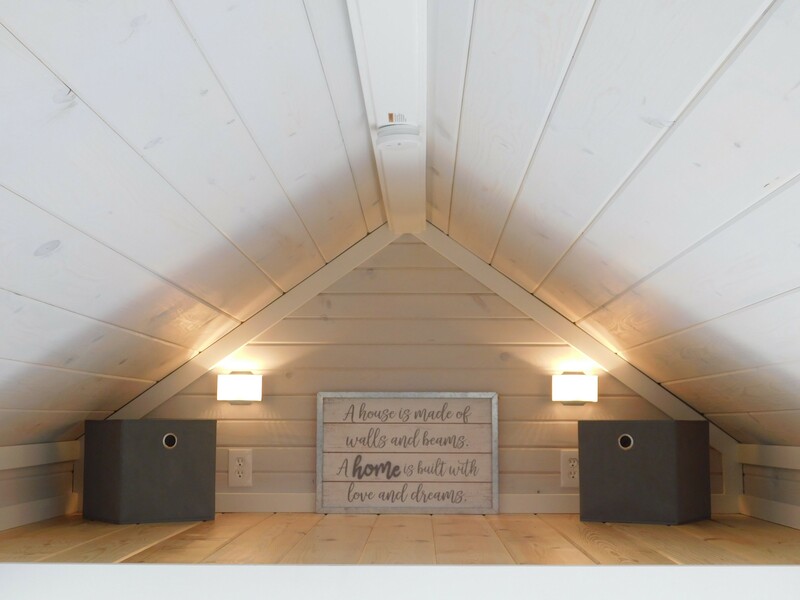 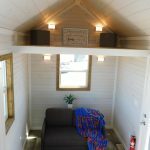 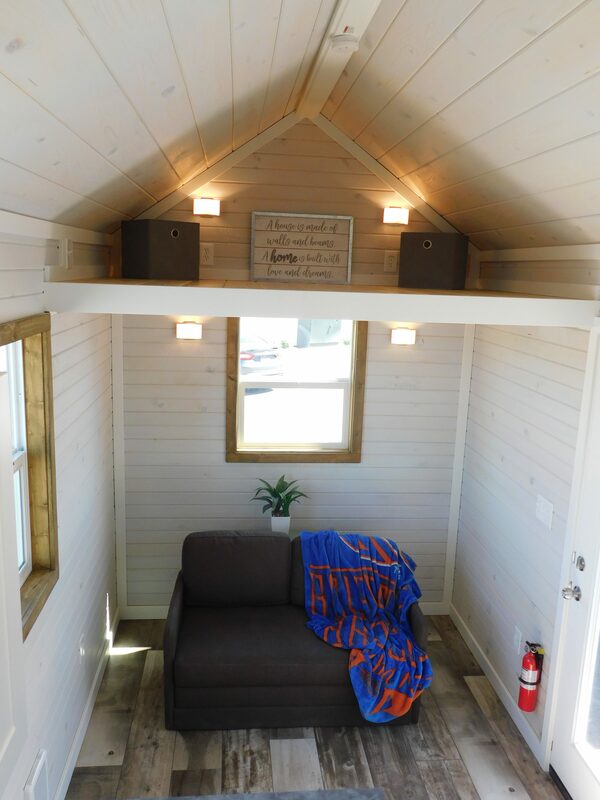 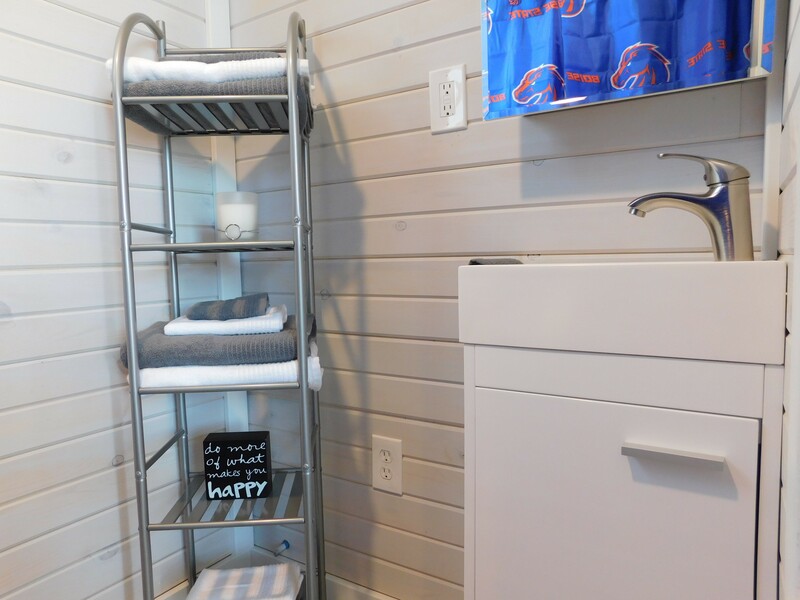 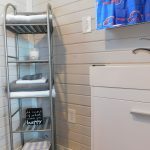 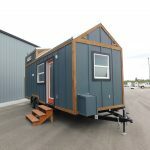 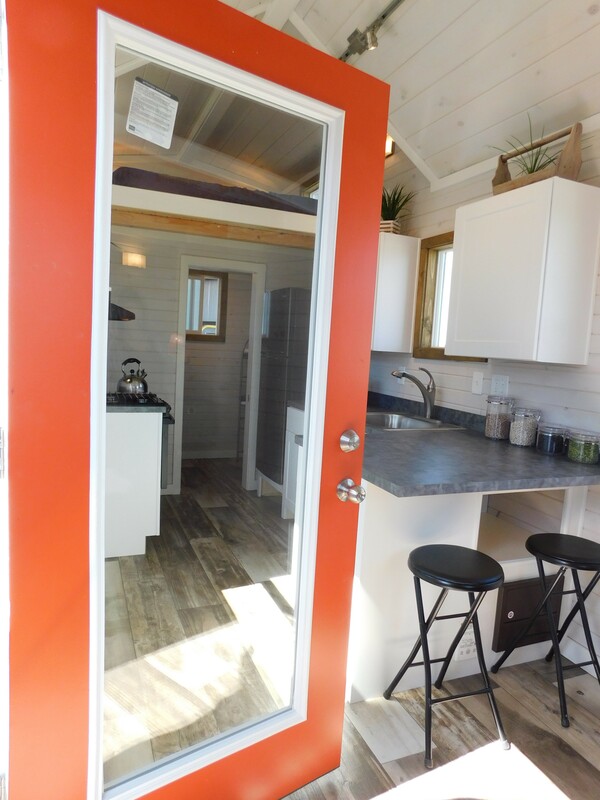 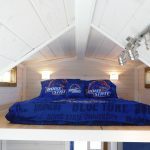 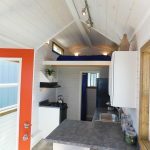 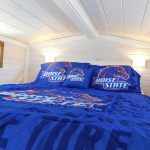 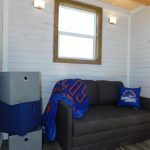 My favorite thing about this Boise State Tiny House inspiration is… the colors, and all the personal touches included in it, which just make it one of the happiest tiny homes I’ve seen. 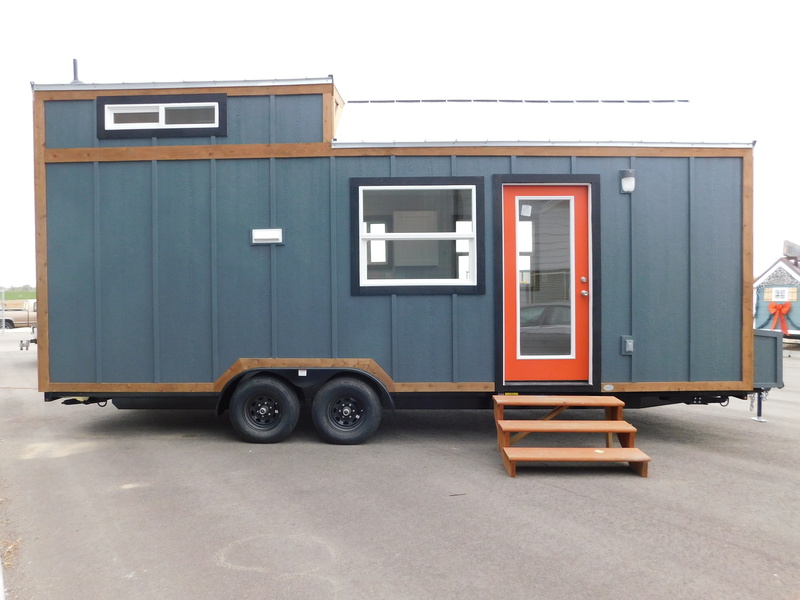 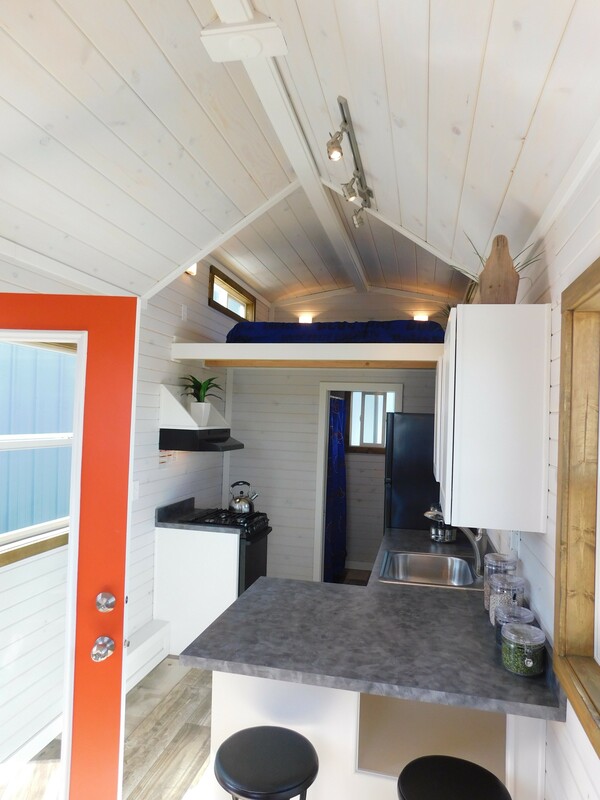 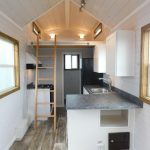 This beautiful tiny house is 24′ long (28′ with including trailer tongue). 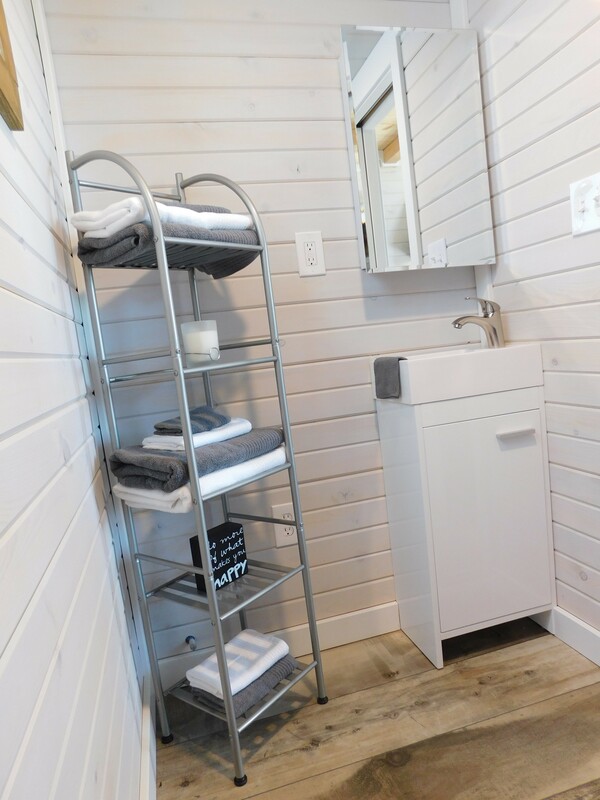 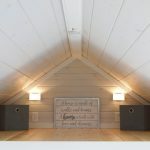 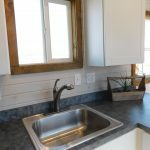 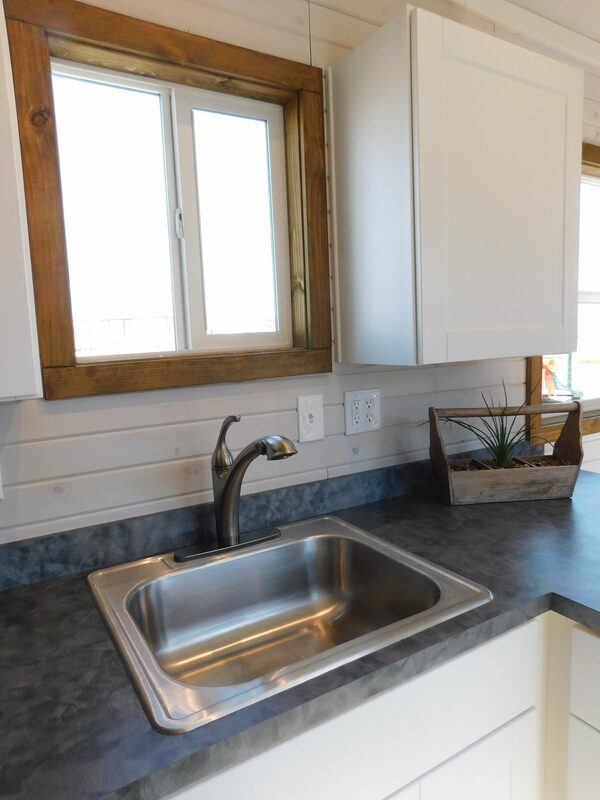 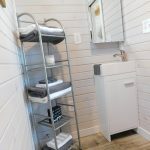 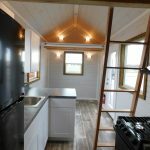 It features beautiful cedar trimmed exterior, white washed pine interior, spacious L shaped kitchen with lots of cabinets for storage and 2 lofts – one sleeping loft that is 8′ and a 5′ storage loft. 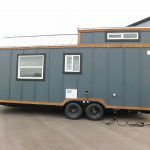 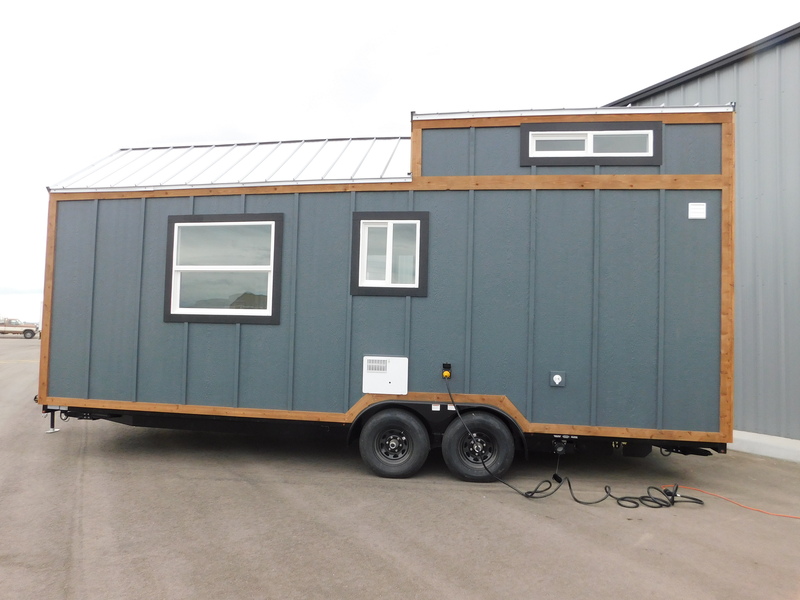 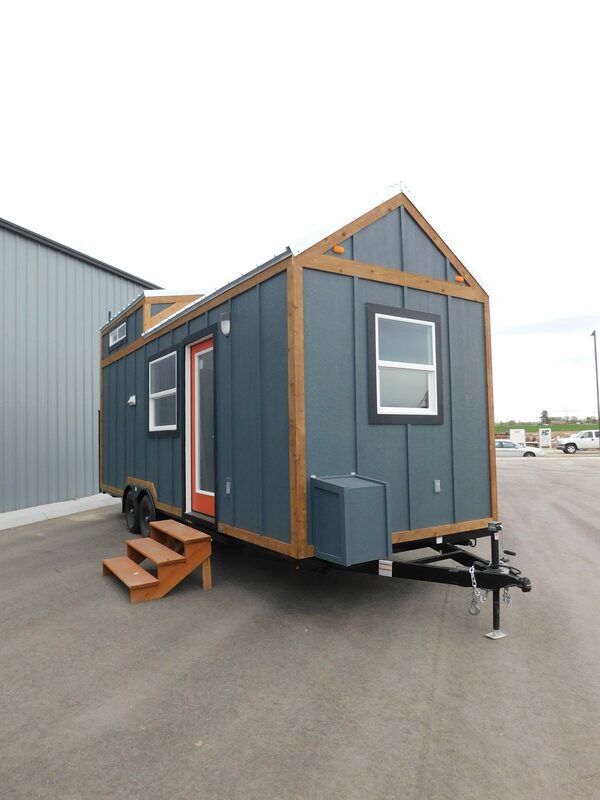 This tiny house is going to stay in Idaho for a while but I am sure it will eventually hit the road and travel around. 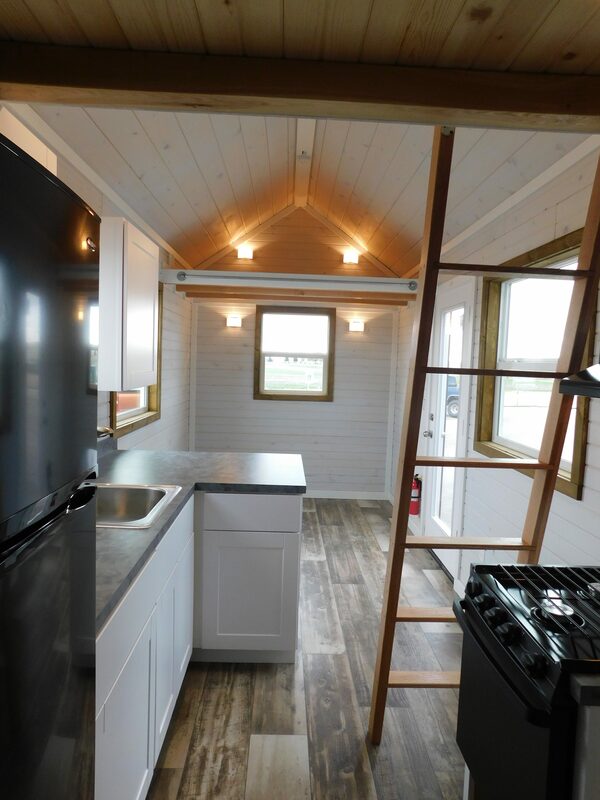 Enjoy your tiny house Pete and thank you for letting us build your tiny. 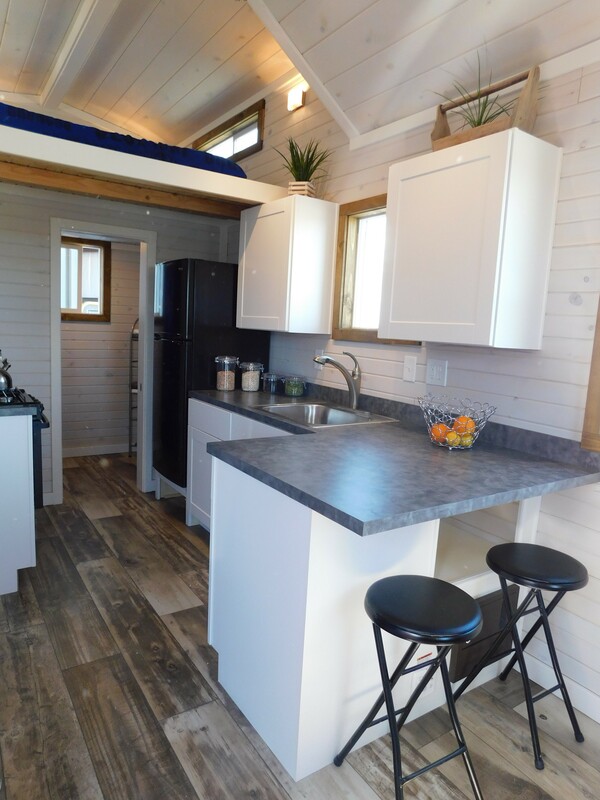 Once you get back on the road, enjoy your travels.